Jim Canniff has been in private practice in Alberta since 1983. Through his practice he heads a team of therapists with expertise in counselling, assessment, and consultation of adults, teens and children. His practice currently includes Foster Care Programs, Teen Groups, Addiction Groups, including Sexual Addiction. Jim also provides support for a variety of professional assistance programs working with physicians, pharmacists and other professionals struggling with substance abuse or other maladaptive behaviours. As the Director, Jim addresses issues for these groups on a daily basis. He works actively to promote a healthier environment for his clients, his employees and his community. His voice has been heard on national radio and he has appeared on national television addressing child care issues. 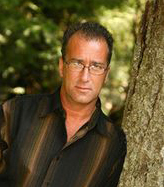 Jim has presented internationally at various conferences on addiction issues and aftercare. Jim has been called to the Provincial Court of Alberta and the Court of Queen’s Bench as an expert witness on matters of sexual abuse, child custody, and access. For nearly twenty years he has had the opportunity to present on various topics to groups such as the Child Welfare League of America, B.C. Interior Child Care Workers’ Association, Alberta Child Care Workers’ Association, Foster Parent, and many smaller associations/groups. 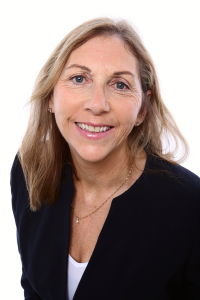 Suzie Le Brocq is an Internationally Certified Advanced Alcohol and Drug Counsellor through the International Certification and Reciprocity Consortium. She is also a Master Practitioner in Counselling Psychology through the Canadian Professional Counsellors Association. She has 12 years of global experience primarily with individuals and families dealing with addiction and eating disorders. M. J. Macleod, MA, R.Psych. Macleod, M. J. – MA, R.Psych. M.J. is a Chartered Psychologist who specializes in counselling for addiction, depression, adult AD/HD, trauma, and interpersonal skills workshops. My training as an Interventionist was completed with well known American Interventionist Brad Lamm at Change, Inc and with Patti Pike at Can Am Interventions. Michael is a candidate for CIP designation through the Pennsylvania Board of Interventionists. I tailor interventions using primarily the Invitational approach and draw from other models depending on circumstance. I prefer to avoid surprise interventions (except for extreme emergencies) and typically meet with family members, friends, and/or employers for as long as needed beforehand, gathering as much information as possible while early in the process inviting the person using substances to a “family meeting” and gauging response. For the best client outcomes I keep intervention gatherings small, often just meeting with the individual and one or two concerned family members, a friend, and/or an employer. My role is to work with the client and their support network to create a customized treatment plan and support them through each stage of recovery. This may include finding the most appropriate detox and in-patient treatment facility, transportation to and from treatment and building an aftercare support programs for both the client and family. I also have personal experience with problematic substance use and successfully recovery and has worked in a variety of substance use and addictions positions in private practice, public health and non-profit services. Andy Bhatti is a professional drug and alcohol Interventionist operating out of Vancouver, B.C. Andy has a background in addiction counseling and working in high-risk foster care homes in Canada. Andy works closely with addiction treatment programs all over Canada, USA, and Asia, to help clients find the right treatment centre for their needs. Andy also provides addiction counseling and intervention services in Calgary, Vancouver, Newfoundland, Alberta and several other locations across Canada, USA, and Asia. He works closely with victims of childhood trauma as well those living with addiction. In 2015, Andy Bhatti won the “addiction category” for the Courage To Come Back Awards, presented by Coast Mental Health. His personal experience with living in addiction and recovery gives him the compassion, understanding, and ability to connect with people with addictions and their families. Trudy is a Registered Professional Counsellor and a Master Practitioner in Counselling Psychology who offers individual and group counselling for addictions. Trudy is also a Certified Interventionist and a member of the Association of Intervention Specialists. Trudy has planned and participated in numerous interventions with alcoholics and drug addicts. She is able to travel to provide intervention services. 550 – 2950 Douglas St.
Sue Donaldson is a trained and Board Registered Interventionist who has conducted many successful interventions. She is a full member of the Association of Intervention Specialists, a Registered Social Worker, and a Certified Executive Coach. She brings her 15 years of experience in Mental Health and Addictions and has worked with individuals, families, groups, and organizations in both residential and outpatient settings. Sue has extensive counselling, coaching, and facilitation training that she draws upon when working with individuals and groups to move them towards change and a positive outcome. She has offices located in Victoria, Vancouver, and Nanaimo and also travels to North American or international destinations to facilitate interventions. Sue lives with her family in Victoria, British Columbia, daily celebrating and relishing the fruits of her own 21 years of sobriety. Janice and James recognize that each intervention is a unique experience for that family or business. They believe that what may work for one family or business may not work for another. Nothing is taken for granted and Janice and James ensure that everything is done to make the intervention a success. James and Janice have offices in Nanaimo, Vancouver, and Victoria. They will travel anywhere in North America or internationally to facilitate an intervention. Janice and James live in Nanaimo BC with their three young boys. They have a blended family and have grown through many challenges to enjoy a balanced life and a happy fulfilling marriage. “Our philosophy is that an intervention is the best thing you can do for the person you care about that needs your help. Our approach is to provide professional guidance and support throughout every aspect of the intervention, letting their clients know that they are being served by competent and caring professionals. Joey is an Internationally Certified Level II Masters Interventionist and instructor and is a member in good standings with the National Association of Drug & Alcohol Interventionists. He is also a certified addictions specialist and has worked with all levels of addiction and behavioral issues. Joey holds certifications in Conflict Resolution / Anger Management and Satir Systemic Family therapy. Patricia has over 24 years working in Addictions and Mental health. She is a Nationally Board Registered Interventionist who has conducted many successful Interventions both in Canada and in the U.S. with a 92% success rate. 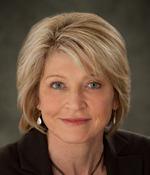 Patricia is the CEO and founder of CanAm Intervention Services, facilitating traditional addiction surprise approach interventions, complex mental health interventions, and family systemic invitational interventions, as well as providing long-term family case management & aftercare services to meet the needs of her clients. Patricia holds citizenship both in the United States and Canada, which allows her to work in both countries with a clear understanding of crossing borders and facilitating treatment referrals in both countries. Patricia is a big believer in collaborating with qualified professionals in the addiction and mental health field, providing the best professional care, and using best practice approaches both on complex intervention cases and in her private practice. Patricia is a Licensed Advanced Alcohol Drug Counselor (LAADAC), Certified Alcohol and Drug Counselor (CAADC II), long-standing member of the Canadian Addiction Counsellors Certification Federation, an Internationally Certified Alcohol & Drug Counsellor through the ICRC (I.C.A.D.C), and Board-Certified Intervention Professional (CIP/PCB) through the Pennsylvania Certification Board. Patricia is a member of the California Consortium of Addiction Programs and Professionals. Patricia also holds an accredited Certification in Addiction Studies that holds an accredited Masters Licensed (LAADC) in Addiction Studies both in the U.S. and Canada. “Many families have made numerous, unsuccessful attempts to help their suffering loved ones. They may have tried various approaches to control or ‘fix’ the addicted or struggling individual or they may have sought help to relieve their suffering from resources such as friends, clergy, doctors, lawyers and other professionals. Despite these efforts, families often find little consolation and the addict, alcoholic, or mentally ill individual continue to struggle. Frustration, fear and anger build, disrupting the family unit until they reach the ‘jumping off point’ and seek professional help. Freedom from pain within a family unit is important for the addicted person’s healing. Interventions can be the ground work to provide initial stages of healing and recovery for all involved. Admitting there’s a problem to others creates a unified bond within a family unit. The result is validation, hope, self-forgiveness and, ultimately, the strength to get help. Addiction is a ‘family disease’ and until it has been arrested, nothing will change; it is just another day filled with the same problems and same cycle of pain, much like the addicted person. Darrin is the Lead Interventionist and Addictions Counsellor at Axis Intervention Services. He travels throughout North America to facilitate interventions on behalf of families and employers. Founded in 1999, Axis is first and foremost in the business of facilitating interventions. As a graduate of Queen’s University and a member of the Association of Intervention Specialists, Darrin brings a diverse professional background and a great deal of passion to his work. At Axis, Darrin also offers a variety of services to his clients including pre-assessments, family/individual counselling, treatment placement, patient transfer services, continuing care group therapy, recovery monitoring, and drug testing. Darrin draws on his personal experience addiction to convey a firm yet genuinely compassionate approach. Thoroughly preparing families and supporting them through the intervention and treatment process is a top priority at Axis. If required, Darrin works closely with treatment facilities acting as a liaison between them and families while the patient is in treatment. 202 – 1651 Commercial Dr.
Cory is the Executive Director of Intervention Services Canada. Cory has worked in a variety of disciplines within the Social Services and Human Development field. 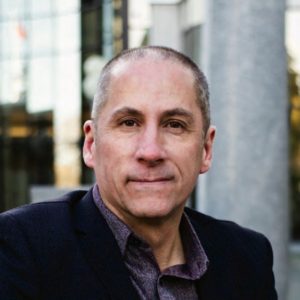 With a degree in Human and Social Development and as the holder of International Drug and Alcohol Certification (ICADC), Cory has clinical experience in dealing with complex problematic substance use and the ancillary issues that often accompany addiction. Cory is a certified Substance Abuse Professional as defined by the United States Department of Transportation. 205 – 376 Churchill Ave.
Catherine is a Certified Addictions Counsellor through Canadian Addiction Counsellors Certification Federation (CACCF) a Certified Relapse Prevention Specialist through The Center for Applied Sciences (CENAPS) in the USA and a Certified Interventionist through ARISE Interventions (CAI) in the USA. Catherine has a wealth of knowledge and life experience that allow her to help a person transition from a life of suffering with addictions, to a life of sobriety. She has experience as an addiction counsellor in a residential treatment centre, an Instructor at Algonquin College in the Trauma/Addictions Recovery Program and has vast experience working in an educational setting with teenagers. “Addictions can tear families apart”. In the past I had performed the Johnson Model of interventions. The Johnson Model did not suit my personality or beliefs. I wanted a new and gentler approach to an intervention that offered support for the whole family. I felt that there must be a better way to help someone suffering from addictions and their loved ones receive the help and support they so desperately need. The ARISE Method of Interventions offers this. ARISE Interventions and Continuing Care is evidence based, best practice, invitational, non-confrontational and a transparent approach to an intervention. The ARISE method builds on the strengths and commitment of the family motivation to change, and provides a proven method for families to receive help and to get a loved one into treatment. This new approach and technique empowers the person suffering with an addiction to be part of, and begin his/her recovery, and the family to begin their healing. Maureen is a well known and respected Canadian psychotherapist, Addictions Counsellor, Interventionist, Consultant, and Educator. She is also an Imago Relationship therapist who works with couples in recovery. She has been in successful private practices since 1985 in both Vancouver and Toronto. With over 35 years of experience in the addictions field, Maureen has vast knowledge and expertise. She is a former Director of the Donwood Institute Treatment Centre in Toronto. Rosemary is a certified CACCF addiction counsellor and offers specialized help for families with alcohol or drug problems. Rosemary is also a trained Intervention Specialist, coaching families on how to help someone who doesn’t want help. In addition to her private practice, Rosemary facilitates workshops to train other professionals in Intervention and offers an Intervention internship program. “There is a lingering myth in our society that until an alcoholic or addict reaches their bottom, nothing can be done to stop this self-destructive process. Today more people are becoming aware of the Intervention Process, which, simply put, is a way of presenting the reality of the addict’s addiction in a caring way so that it can be heard by the alcoholic/addict. Sometimes this happens when a friend or family member has the courage and insight to tell a loved one how their addiction is affecting them and those around him/her. The alcoholic experiences a moment of truth and seek help. Sometimes it requires the combined effort of several family members, friends, employer etc. to break through the defense system of the addict. 410 – 1 Yorkdale Rd. Sam has an M. Ed. in Counselling Psychology and was trained as an addiction counsellor at the Hazelden Foundation in Center City, Minnesota. He has counselled in both outpatient and residential settings and has been counselling and coaching people since 1984. E-Mail: Please send e-mail through website, www.interventionplus.ca.